I'm so pleased to be part of Mary Jo Putney's blog tour for Not Quite a Wife. She's one of my favourite authors and this book is part of my favourite series (I've been faithfully following the Lost Lords since 2009 ^_^). To celebrate the release of this book, Kensington is hosting a Tour Wide Giveaway of three (3) print copies of Not Quite a Wife. 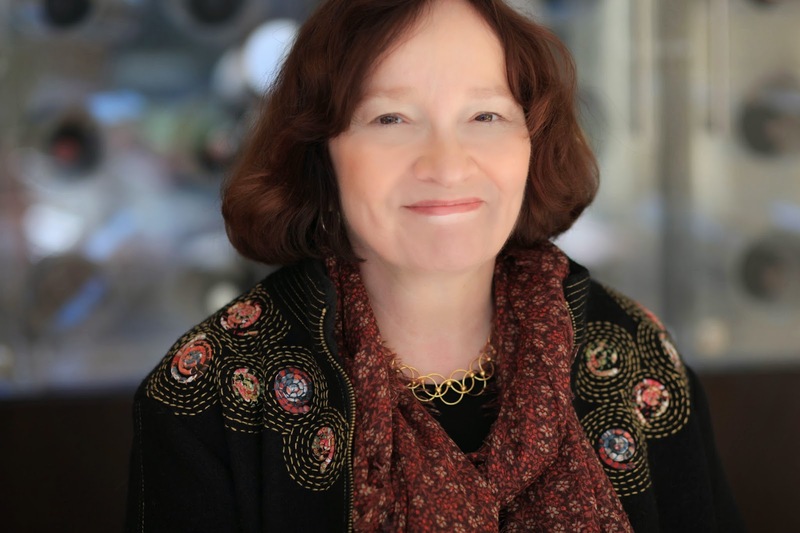 (Enter via Rafflecopter below) To follow the rest of Mary Jo Putney's tour, click here. James, Lord Kirkland, owns a shipping fleet, half a London gaming house, and is a ruthlessly effective spymaster. He is seldom self-indulgent ... except when it comes to the gentle, indomitable beauty who was once his wife. Laurel Herbert gave James her heart as an innocent young girl -- until she saw him perform an act of shocking violence before her very eyes. That night she left her husband, and he let her go without a word of protest. 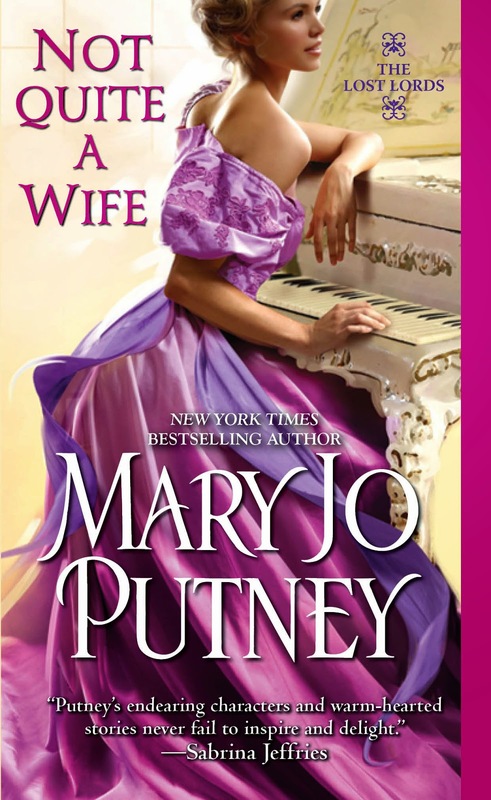 I reflected on two words after I finished reading Not Quite a Wife, the latest instalment in Mary Jo Putney's Lost Lords series: estrangement and separation. The idea of "estrangement" is particularly curious, because of the idea that something familiar and known to someone suddenly becomes treated as a stranger and alien. The second word, "separation" implies distance and detachment -- and, as I read James and Laurel's story, and got glimpses of their passionate past, I wondered what happened to cause their separation and estrangement. In previous books, we have seen James Kirkland the spymaster -- very efficient and very devoted to his job and the spies who worked with him. I saw him as a man who cared very deeply for his country and his comrades, and I wondered about his personal life. Laurel Herbert met James when she was 17, married soon after, and separated "amicably" soon after that. It's been ten years, and James, a man of his word, had no intentions of bothering his estranged wife again or ever -- but Fate has other plans for them. I love the second-chance-at-love trope, and more so when the lovers in question are already married because there is so much history (and memories) already there. Do you start anew? Do you pick up where you left off? What's interesting about James and Laurel is that they've both built very successful, very meaningful lives separately, so the challenge is re-building an equally "healthy" life together. To their benefit, they are both older and wiser and have had very edifying life experiences, and James and Laurel are approaching this new arrangement with clear and mature minds. This, I think, is the main draw of this novel: our hero and heroine aren't young and full of fire, but more mature and more thoughtful. Love in younger characters seem focused on marriage as the be-all and end-all -- but James and Laurel are already married to each other, and it didn't work out. Now they're together again, and it isn't marriage that's the prize, but a chance at family and a life together. Theirs is a very quiet, very companionable sort of love, despite the lack of the physical aspect, which they both agreed to avoid. I think this is where James and Laurel see themselves as strangers: while they cohabit and deal with each other civilly, they are not physically intimate with each other and do not "know" each other. I love how Mary Jo Putney handled this: I appreciate how both James and Laurel owned up to their mistakes and are now willing to work their way through it. What I took away from this novel is this: relationships aren't perfect and many of them fall apart, but some of them are fixable. Looking back on that time of absolute certainty and joy, she knew that she'd been right about the power and truth of their love. Her tragic mistake was being too young and inexperienced to know that love wasn't enough. "I'm not sure whether our meeting proves that God had a sense of humour, or that we are each other's crosses to bear." Instead of being angry, he laughed. "That's an interesting way of looking at our marriage, my lady. I expect that we're each other's crosses, but surely we can bear them as friends. Now that we're older and wiser." Disclosure: I received this book via Netgalley for the blog tour. Thank you to Mary Jo Putney and Kensington Books for the opportunity. Yes, this is an honest review. Always a pleasure, Lisa! Have a great day!